A VoiceOver Basketball, and a VoiceOver Safe game provide opportunities to practice these core gestures. An explanation of the use each gesture has in iOS is provided, along with a summary of all the gestures introduced in this tutorial. This app may be used independently by anyone new to VoiceOver and iOS, or within a class, seminar, or introductory instructional setting. 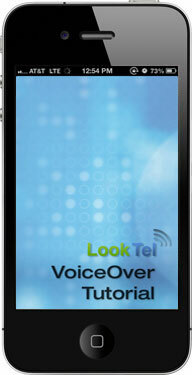 If you have any questions or want to contact support, email us at info@looktel.com.